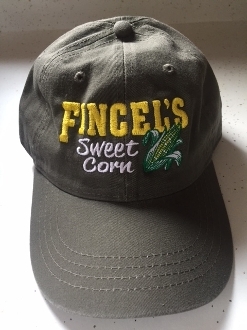 Sport your love for Fincel's Sweet Corn with our 100% premium-washed cotton twill unstructured khaki cap. Six-panel and low-crown, it has a pre-curved visor, matching undervisor, sewn eyelets, and a fabric closure with a rustproof buckle. Adjustable, to fit tops large and small. Your head will be comforted, on the golf course or out about town.